I’ve been absent, but not idle. Here’s a picture of Trefour, now finished and guarding my desk at work. 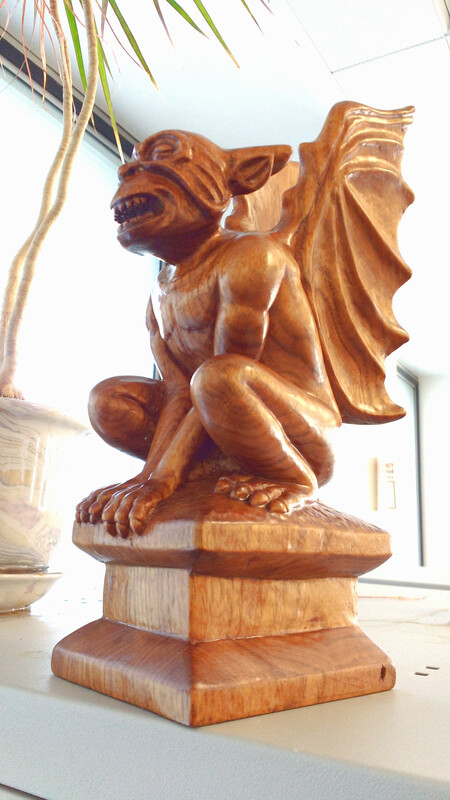 This entry was posted in Uncategorized and tagged gargoyle, grotesque, woodcarving on 25/09/2015 by diamondcarving.